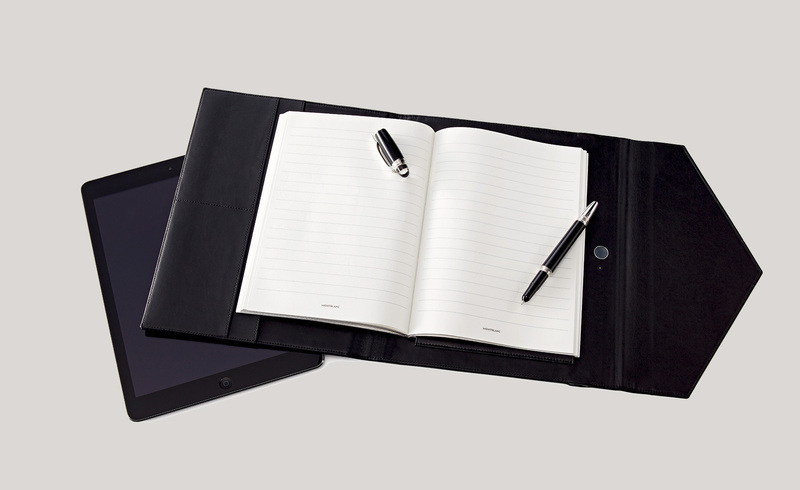 Cunningly disguised graphics tablet: Montblanc’s Augmented Paper is at its heart a modified Montblanc StarWalker ballpoint pen and an Italian leather bound notebook that come in their own (smart) leather folio, the latter of which is where most of the tech is hidden. Real-world pens that can capture real-world notes and send them to a computer, tablet or smartphone screen are nothing new – LiveScribe has been successfully cultivating a loyal following of journalists and college students for many years with its clever pens that can save doodles and even simultaneously record sound. But what about those who put as great an onus on individual style and traditional craftsmanship as on digitising, classifying and saving notes and ideas, wherever inspiration strikes? 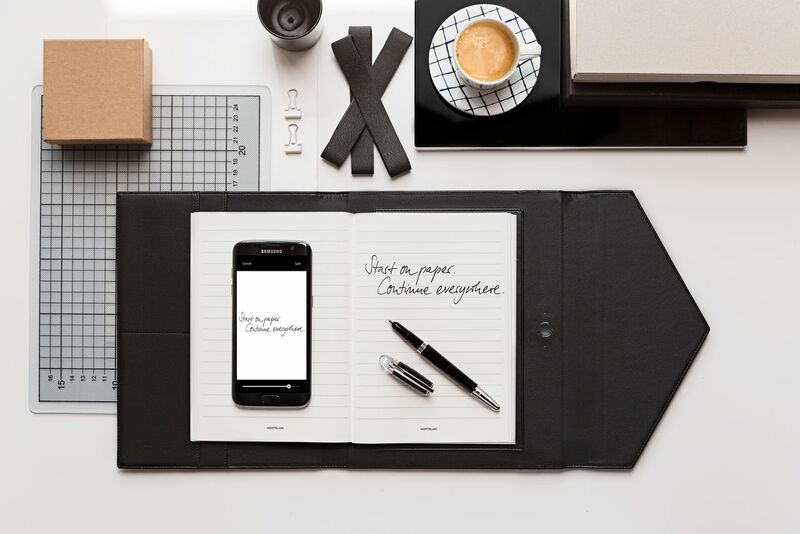 Enter Montblanc and its Augmented Paper, as the company is calling it. It’s essentially a modified Montblanc StarWalker ballpoint pen and an Italian leather bound notebook that come in their own folio, also in leather. The company is calling the system Augmented Paper rather than a smart pen because it’s the smart leather folio – which is essentially a cunningly disguised graphics tablet – where most of the tech is hidden. As long as you write with the pen, on the notepaper, while it’s on this folio, it can, according to the company, accurately recognize handwriting (in 12 different languages) and convert it into an on-screen font. The system doesn’t need to be connected to a computer or other device to work. Simply start jotting and it can save up to 100 pages of notes internally. When it is time to empty the memory to start jotting again, there’s an app – the Montblanc Hub app – that can be used simply for storing and cataloguing or for sharing notes with others. The batteries will last for up to eight hours and everything can be recharged via the bundled USB cables. The gadget will cost US$725 (RM2,953) when it goes on sale, exclusively at Harrods in London from mid-September. But for that fee, Montblanc is throwing in three ballpoint pen refills. And for those that don’t live in Knightsbridge that are taken by Montblanc’s marriage of analogue luxury and digital practicality, the Augmented Paper will be going on sale globally via Montblanc boutiques and concessions, from October.